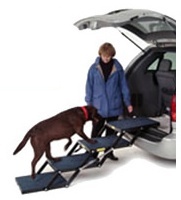 Recommended for medium to large dogs (max weight 68Kg). For giant breeds over 68Kg, please use Pet Loader XL. 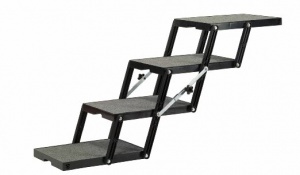 Platform size: 22 inch (56cm) length, 14.5 inch (36cm) width. 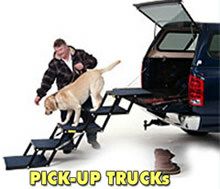 Dog steps ordered on Sunday,shipped Monday morning and received Tuesday morning. 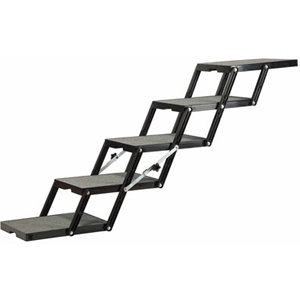 Also very pleased with the Pet Loader Ultra Light steps. 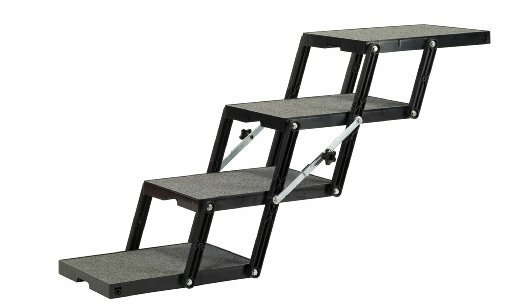 Bought the 5 steps for our Volvo XC90 but could probably have got away with 4 steps. Just means they would have been slightly steeper. 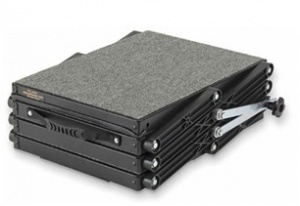 Really sturdy product and so easy to operate and store in the back footwell. A lot of money but so pleased we paid the extra -hopefully we’ll get many years use out of them. Very well made and worth every penny. 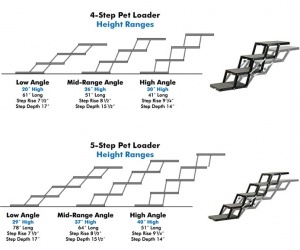 My dog loves these steps and would highly recommend them. Very many thanks for excellent service and delivery. The Pet Loader Steps has been a great success and our dog, after one day's hesitation, is now enjoying life with car trips to the Park etc. with no refusal to jump into the back. An excellent design and manufacture!